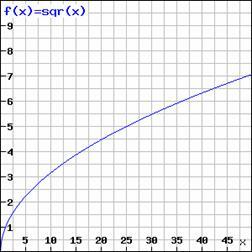 y= where f(x) is a linear function and a ≥ 0 where ‘a’ is any value in the domain of y. To plot the graph of a square root function, we need to know the set of ordered pairs. The main thing to remember is that the square root of a negative number is not a real number; therefore, the domain of a square root function only takes a positive value greater than or equal to zero. 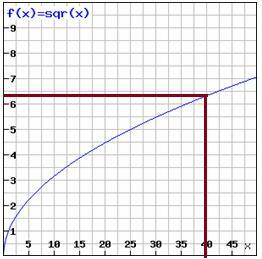 Once we know how to plot the graph of the basic square root function, we can easily graph other square root functions from the graph of the parent square root function, i.e. y = √x. 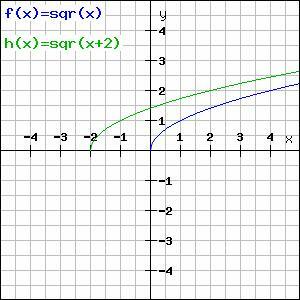 It is called a parent function because other graphs derived from it can be considered its child functions. 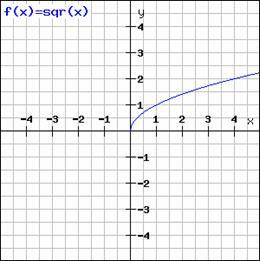 The graph of y = +a can be easily derived from the graph of its parent function y =√x. For the same l value of x, the value of y is more when compared to the parent graph. For the same l value of x, the value of y is less when compared to the parent graph. 1. 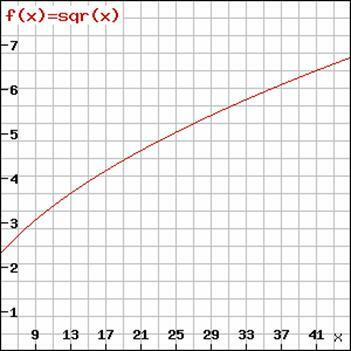 Find the approximate value of from the following graph. 2. For the graph given below, find the approximate value of √40. When x is 40, y ≈ 6.4.